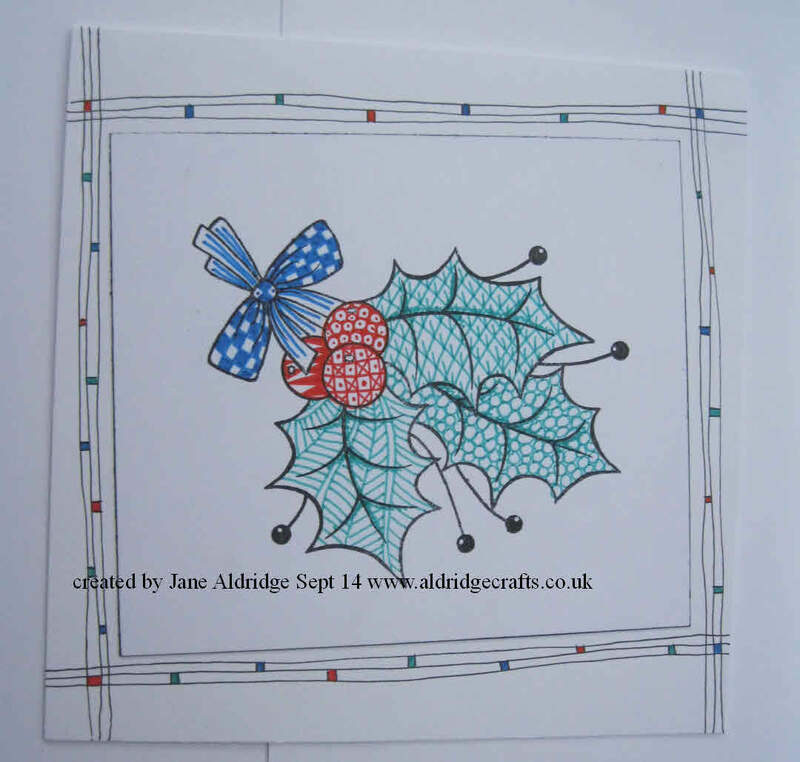 Today’s card is made using the Woodware Sprig of Holly Stamp (now back in stock!). 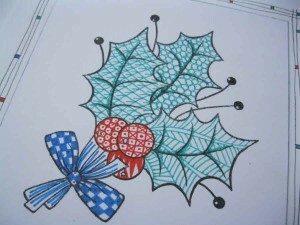 This time I have worked my zentangle patterns using the coloured Sakura Micron Pens. You can work quite simple patterns but they look so effective in the different colours. 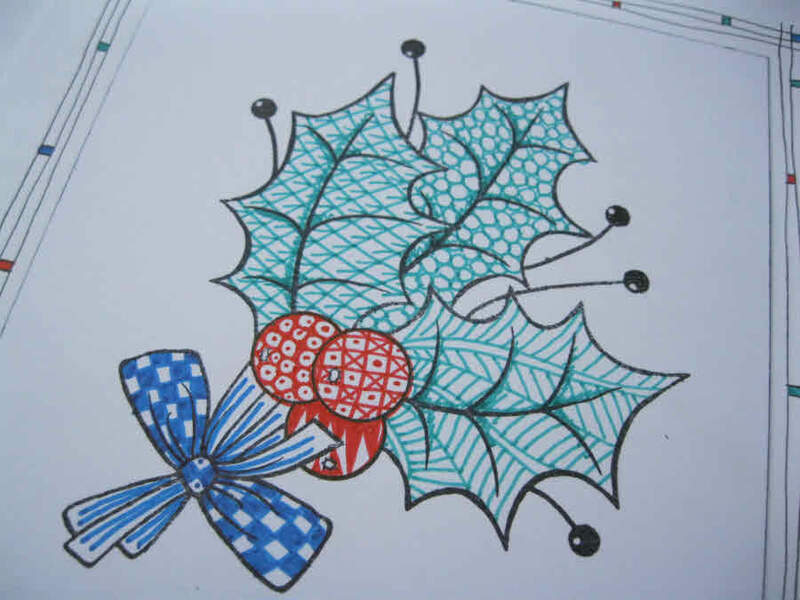 The patterns I’ve used today are really simple and quick ones to do, so don’t be daunted to have a go at zentangling – you don’t need to do the really complicated patterns to make it look good! 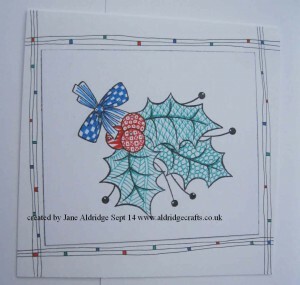 I actually completed this topper when I was demonstrating at Thetford at the beginning of the month – but couldn’t quite decide how to mount it onto a card. I didn’t want to do just a single colour mount, but didn’t want to do anything too complicated that would distract from the zentangling. I decided to put it at an angle and then do a simple zentangled border with little squares in each of the 3 colours in the design. I was really pleased with the result – it seemed to bring it all together. Did you know we’ve put together a whole department of products to help you get started with zentangling – it includes books, pens, stamps and stencils that we think will work well with zentangling – have a browse here..